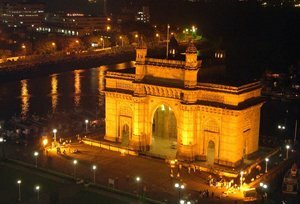 On your arrival in Mumbai airport you will be welcomed by our representative & transfer to hotel. Evening is at leisure OR You may choose to visit Juhu Beach and watch the sunset spreading its golden glow. Overnight stay in Mumbai. Morning at leisure after breakfast full day city tour of Mumbai. Starts early in the morning as you get transferred to the Gateway of India. Proceed by local launches to visit the Elephanta Caves. Located on an island about 10 Kms away from the shores of Mumbai. These caves consist of temples carved from solid rock dating back to the 7th century. Later proceed on a city tour. After a photo stop at Gateway of India, drive past monuments built during the British era; Chhatrapati Shivaji Maharaj Terminus (VT), Mumbai University, Rajabai Clock Tower and High Court. Stroll across Fashion Street, a stretch famous for its export clothing and accessories. Thereafter drive past Marine Drive also known as the Queen's Necklace. Ascend Malabar Hill to visit the beautifully decorated and adorned Jain Temple; Hanging Garden and Kamala Nehru Park from where you will have an excellent view of the city. Return back to your hotel for overnight stay. Morning after breakfast drive to Nashik 170 kms, approx 03 hrs drive. Nashik is India's leading grape-growing region. On arrival at Nashik check-in to the hotel & free time for relaxation. After lunch visit to York Winery. York Winery is famous for producing fruity and dry wines, rather than sweet wines. York Winery produce wines such as Sauvignon blanc, chenin blanc, rose, shiraz, cabernet sauvignon etc. Along with Winery it is is also a great sunset destination, enjoy the sunset at York winery. Late evening return back to Nashik for overnight stay. Morning at leisure after breakfast proceed for Sula Vineyards. Sula is known as India's most trendy and most versatile winery. This winery started in the year 1997 & it is now become the world class winery. 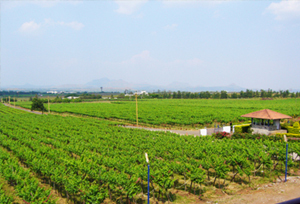 Sula Vineyards is located to the west of Nashik, close to Gangapur Dam. After visiting Sula winery return back to Nashik for overnight stay. Morning at leisure after breakfast drive to Pune, 210 kms, approx 05 hrs drive. On the way to Pune visit Omar Khayyam Vineyard situated at Narayan gaon which is approx 70 kms before Pune. Omar Khayyam winery produces a wide range of high quality wines under the watchful eye of experienced winemakers. After visiting Omar Khayyam Vineyard continue your drive to Pune. On arrival check-in to the hotel for overnight stay. Morning at leisure after breakfast transfer to Pune Airport to board the flight for Goa. On arrival at Goa airport meet with our representative & transfer to hotel. Evening free for own activities. Overnight at the hotel. After breakfast full day free for your own activity or Leisure. Overnight stay at Goa. After breakfast full day Sightseeing of North Goa including visit to Fort Aguada. It was built by the Portuguese government in 1612 in order to protect Old Goa from enemy attacks. A spring within the fort supplied water to all the ships that called there. 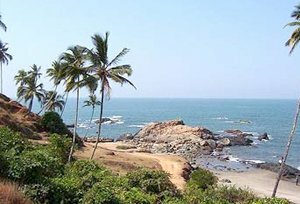 The other places covered include Saligao Church, Bodgeshwar Temple, Mapusa City (famous for its weekly Friday bazaar), Vagator Beach and Anjuna Beach. 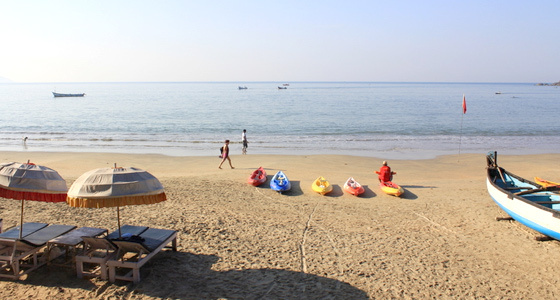 The trip rounds off with a visit to the Calangute Beach, Known as the queen of Goa's beaches. These beach draws thousands of people every year from all parts of the world. Facilities for water sports and paragliding are available here. Overnight at Goa. After breakfast full day Sightseeing of South Goa including Miramar, Dona Paula, the World Heritage Churches Basilica of Bom Jesus, The sacred relics of the patron saint of Goa St. Francis Xavier are kept here, Se Cathedral this is the largest cathedral in Asia. The Se cathedral has five bells out of which one is the famous Golden Bell which is one the largest in the world, Mangueshi This temple is more than 400 years old. A highlight of this temple is the multi-storied lamp tower and Shantadurga temples as well as the Colva Beach. Overnight in Goa. After breakfast full day free for your own activity or for leisure. Overnight at Goa. Morning at leisure in time transfer to the Airport in Goa to Board the flight for Mumbai on arrival in Mumbai transfer to International Airport to board the flight for home country.